Well, what an unexpected surprise. It seems that Caroline Cordovin does care about things other than her job. She was presented as a pompous, arrogant, stiff shirted military officer who prides her job above all else to the point that she has become slightly unhinged. The evidence was clear when she unleashed the Atlas military’s most powerful weapon upon Ruby and her friends when they attempted to hijack an Atlas jet to fly to Atlas. This came even after she seemingly held high regard for Weiss Schnee since she is heiress to the Schnee Dust Company. Caroline was willing to use the robot’s mighty weapons to dispose of Ruby Rose, who pleaded with her to help them rather than detain them. It took the disabling of her robot’s main weapon coupled with a Grimm attack on Argus Military base to make Caroline have an epiphany moment. While she was helplessly restrained, she had realized that her overzealous actions put innocent lives in danger. Shoving her pride aside, she arrives on the battlefield in time to witness Ruby use the power of her silver eyes to petrify the Leviathan Grimm long enough for Caroline to deliver the killing blow. For all her bluster, Caroline shows compassion towards the group and allows them to continue their way to Atlas. Caroline Cordovin may be driven by work ethics and a strong demeanor, but she is not without compassion and understanding. However, Caroline is not the only person to change. After learning the truth about Ozpin, Qrow Branwen fell deep into despair and tried to wash it away with alcohol. Ozpin was not the man he knew for so long. Jinn showed him the true Ozpin, who is manipulative and doubtful of humanity, and knew about Salem’s immortality despite coercing him and his nieces’ friends into what could be a fruitless battle. Qrow felt understandably betrayed because the man he trusted who did not trust him and handled the situation his own way. Sadly, it was not the best choice since the team still needed his experience and guidance. 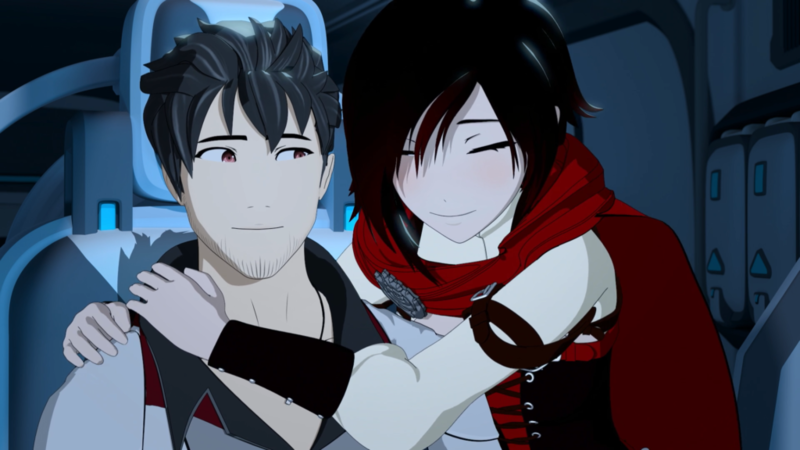 Ironically, Qrow’s depression turned into a blessing in disguise as this paved the way for Ruby to stand up and take on her role as a leader. She tries to rally her uncle several times to no avail. When Jaune devised a plan to steal an Atlas jet, Qrow was opposed to the idea having lost what hope remained in him. It was when his niece Ruby stood her ground and insisted that they follow through with Jaune’s plan despite his protest. Ruby asserting herself played a part in Qrow regaining his hope. 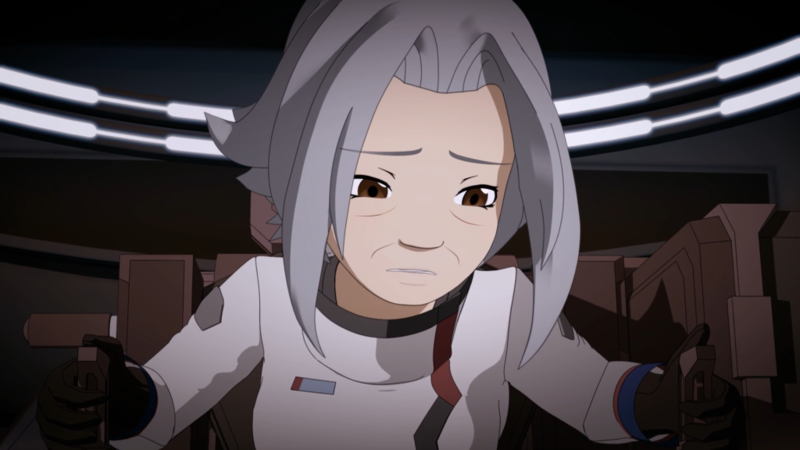 Like Ozpin, she believed in him when she said that they still needed his help. 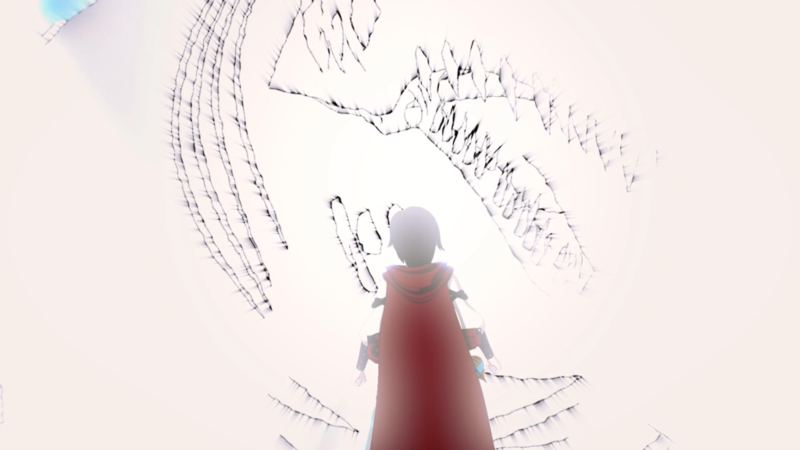 Unlike Ozpin, he can trust Ruby. He has seen how much Ruby has grown into becoming a capable leader. He likely remembers her as a wide-eyed girl who fantasized about being like the heroes she read about in stories. Following the battle with the Leviathan Grimm, Qrow praised Ruby for her efforts and leadership skills. He then takes out his flask but decides not to drink, likely realizing that he does not need it since it caused so much trouble for everyone including himself. It would seem that Qrow’s hope is beginning to burn anew. RWBY Volume 6 had a few surprises throughout the season. The Ozpin/Salem reveal in the third episode set the tone for the show and opened the door for more aspects to be looked at. One being Emerald’s true commitment to Salem. Since Cinder left, she has begun to question her purpose. Her loyalty lies with Cinder though Salem tells her that Cinder never cared for her. She may feel that Salem will dispose of her should she prove no longer useful. Emerald’s doubt in her prolonged existence is fueled when she, along with Mercury, witness Salem raising an army – of flying monkey Grimm no less – to attack Atlas. Where Mercury was raised to be an assassin, Emerald’s story is a bit more tragic. Her commitment to Salem has the potential to waver should it prove safer to be away from her than with her. Another is the red-haired woman who spoke to Jaune at Pyrrha’s memorial. Due to the pattern of her clothing and striking red hair, one would wager her to be related to Pyrrha – her mother or possible sister perhaps. It would seem that Ozpin is still hanging about. Secluding himself within Oscar Pine after the second episode’s shocking revelation, the ‘man no one can stand’ briefly shows up to help Oscar guide the Argus airplane down after it was shot by Caroline Cordovin. Oscar reveals this as the flies to Atlas. Yang is quick to question whether Ozpin has been watching them all along. It could be a possibility since Ozpin has proven before that he can switch personalities with Oscar any time he wishes. So the likelihood that Ozpin is aware of what has been happening is there. I have enjoyed this season as I always do. This volume took the slow approach in story telling to further develop the characters and show how they deal with personal struggles. The action was minimal when compared to previous seasons, but the moment Beacon Academy fell and Salem was revealed in Volume 3, it was clear that the story was going to go in a different direction. Some fans may agree with this. Some may not. The rest will accept it without swaying one way or the other. 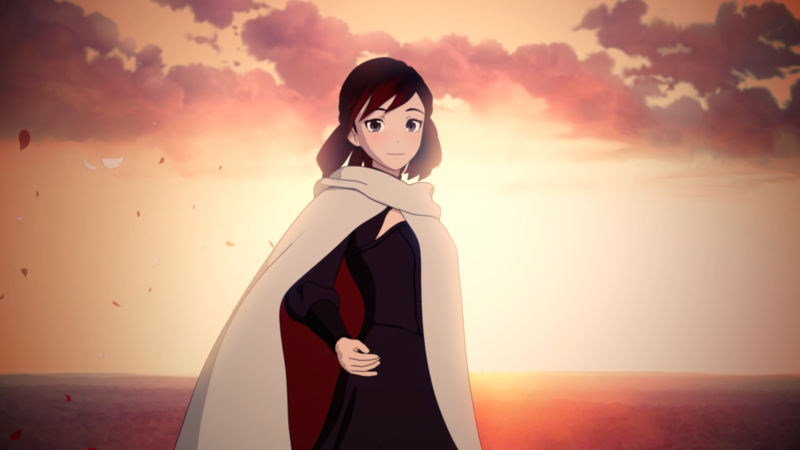 That’s what RWBY Volume 6 was – you took the bad with the good and vise versa. Overall, Volume 6 was enjoyable with heart felt moments and intense action that was beautifully balanced.